The U.S. student died on Monday. 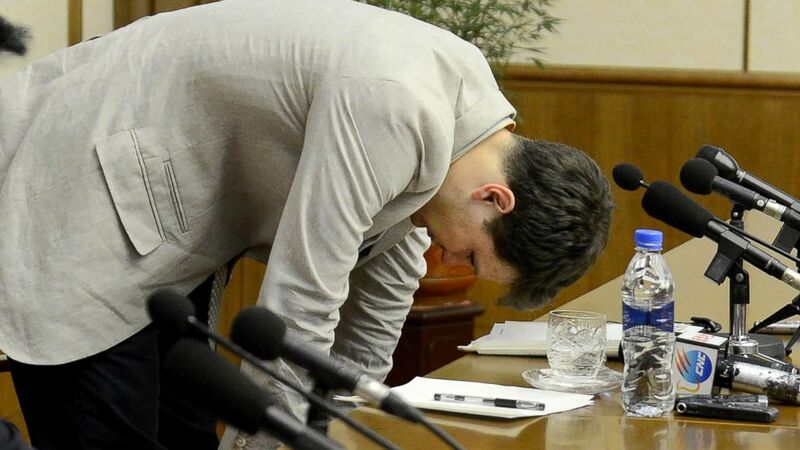 The American college student who had been imprisoned in North Korea for more than a year has died after returning to the U.S. in a state of unresponsive wakefulness, according to a statement from his family. Otto Warmbier was sentenced to 15 years of hard labor in March 2016 after being accused of attempting to steal a propaganda poster from his Pyongyang hotel while visiting the country. The details of his detention and what led to the unresponsive wakefulness are still unknown, but he passed away Monday -- just days after U.S. officials secured his release and returned him to his family in Ohio. Here is the timeline of Warmbier’s ordeal. Warmbier, then 21, was visiting North Korea as part of a tourist group arranged by Young Pioneer Tours, a tour agency based in Xian, China. He was arrested on Jan. 2 at Pyongyang Sunan International Airport on the last day of a five-day tour. Three weeks later, North Korea announced it was holding Warmbier, a student at the University of Virginia, for a “hostile act” against the state. In late February, Warmbier appeared in a video released by North Korea’s state news agency. “I committed my crime,” he said in the video, asking for forgiveness. It is not known if Warmbier had delivered those statements under duress. Warmbier, of Wyoming, Ohio, reportedly said in a tearful statement ahead of the trial in Pyongyang that he tried to steal the poster in exchange for a $10,000 used car. "I have made the worst mistake of my life," the student said in a March 16 court hearing. He also said that the Z Society, a secret club at the University of Virginia, promised him membership if he was successful at stealing the poster, according to The New York Times, citing North Korean state media. A member at the Z society at UVA that the organization had never been in contact with Warmbier. (KCNA via AFP/Getty Images) This file photo taken on February 29, 2016 and released by North Korea's official Korean Central News Agency on March 1, 2016 shows Otto Warmbier at a press conference in Pyongyang. Warmbier was sentenced to 15 years of hard labor. 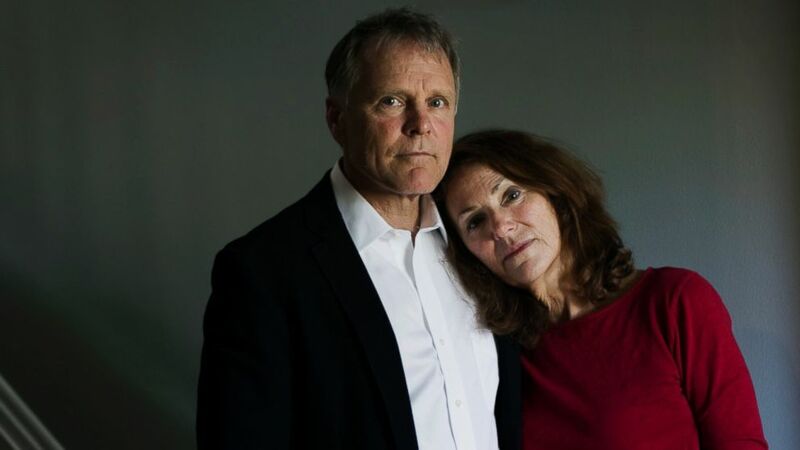 Since his detention, American officials have repeatedly urged North Korean officials -- in public and in private -- to give the Swedish consulate access to Warmbier and the three other American citizens now detained. These pleas come amid regular pushes for their release. After he was sworn in as U.S. Secretary of State, Rex Tillerson briefed President Donald Trump on the situation and Trump directed Tillerson to take all appropriate measures to secure the release of American hostages in North Korea, State Department officials said Tuesday. Tillerson began the effort and routinely updated the president, the officials said. The special representative for North Korea policy at the U.S. State Department met high-level representatives from the North Korean Ministry of Foreign Affairs in Oslo, Norway, the State Department said. North Koreans reportedly agreed to authorize the Swedish Embassy in Pyongyang to pay a consular visit to all four detainees, according to the State Department -– although it is unclear if they were ever able to conduct that visit. Sometime afterward, North Korea then urgently requested an in-person meeting with the United States in New York City, the State Department said. State Department Special Representative Joseph Yun met with DPRK UN Mission Ambassador Pak in New York City. During this meeting, Yun learned about Warmbier's medical condition, the State Department said. After consulting Trump, Tillerson instructed Yun to prepare to travel to North Korea to bring Warmbier back to the United States, according to the State Department, which promptly organizes a medical team and an airplane to travel to North Korea. Sometime during that week, Warmbier’s family was notified of his condition, according to a statement released by the family. (Maddie McGarvey for the Washington Post/Getty Images) Fred and Cindy Warmbier, the parents of Otto Warmbier, stand in their home in Wyoming, Ohio, April 26, 2017. North Korean officials met the American delegation in Pyongyang, the State Department said. Upon arrival, Yun and two doctors were able to visit Warmbier that morning, according to the State Department. The visit was the first time the United States was able to confirm Warmbier's status after he was sentenced. The State Department said that Yun demanded Warmbier's release while on the ground, but sources tell ABC News that Yun and others made the arrangements for his release prior to Yun's trip. Warmbier was evacuated from North Korea, accompanied by a medical team and a State Department representative. He arrived in Cincinnati, Ohio, in the evening, and was to be transported by ambulance to the University of Cincinnati Medical Center. Warmbier passed away surrounded by his family at the University of Cincinnati Medical Center, according to a statement from his family. He was 22 years old. In their statement, his family said Warmbier was "unable to speak, unable to see and unable to react to verbal commands" when he returned to the U.S., appearing "very uncomfortable -- almost anguished." That changed within a day, they said. "He was at peace. He was home and we believe he could sense that." The family remembered Otto as "a warm, engaging, brilliant young man whose curiosity and enthusiasm for life knew no bounds."